My only problem is my backup preventer keeps spilling over. I’ve read a lot about this and people say this is normal. Some say you don’t need one. My problem is I am going up hill from my water source. Below it what my setup looks like. Should I remove the backup preventer or keep it and figure out what is going on? Did I do my setup correctly. Should I change anything? Would love some feedback. Here is what it currently looks like. Others will chime in but I’d recommend using a different type of back flow preventer — the irrigation tutorial webpage has a decision tree on deciding what type to install. Thx. So just get rid off it. Got it. Anything else I should know or change with my setup? Like @Kubisuro said, that is an anti-siphon valve, not a backflow preventer and not meant to be used in front of other zone valves. You can install one of two ways. 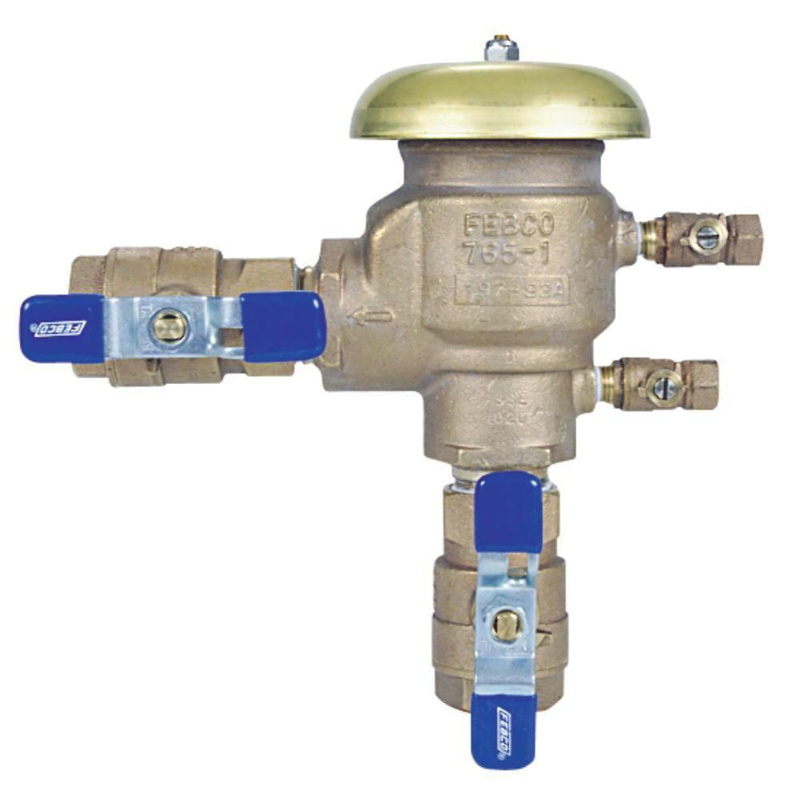 Leave the existing zone valves as they are and replace the anti-siphon valve with a backflow preventer. This will be a larger brass unit, and if you go with a Febco unit, you might be able to get it to fit close to the footprint of the current anti-siphon valve. The Zurn/Wilkins usually have a larger footprint. 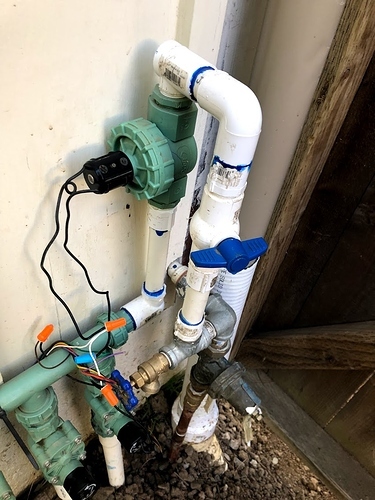 Forgo a true backflow device, but you will need to replace all the zone valves with the anti-siphon valves. The thing I don’t like about using anti-siphon valves is that they spill a small amount of water out each and every time the zone runs. Anytime I have seen an install using anti-siphon valves, the area around it is constantly damp. Being that this is near your foundation, I’d stay away from this option, IMHO. @tmcgahey and @Kubisuro How does this setup look? Am I missing anything? Ummm, is the top valve being used as a master valve? Right now it doesn’t look like you have any type of backflow prevention in place. Leave the lower 3 valves in place, and replace the upper anti-siphon valve with a true backflow device. The Febco might be a better option in your case because it has a smaller footprint than the Zurn/Wilkins unit. 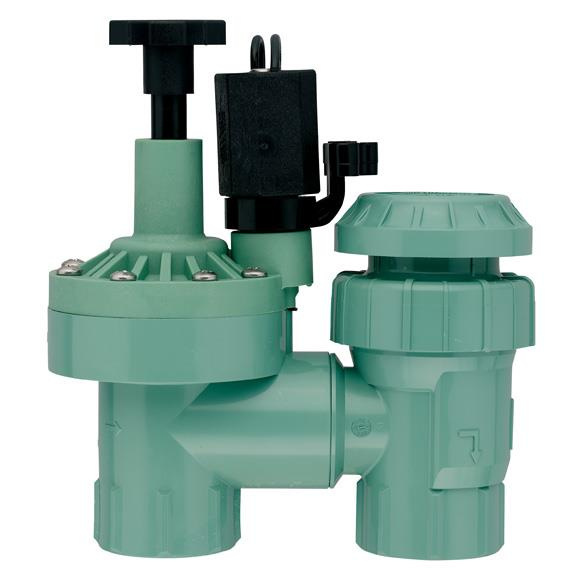 Replace the lower 3 solenoid valves with anti-siphon valves and remove the upper valve (assuming that is an anti-siphon and not a master valve). Without completely repiping your whole setup there, I’d recommend the first option as I think you could probably fit that closely into the existing footprint. My problem is I am going up hill from my water source. 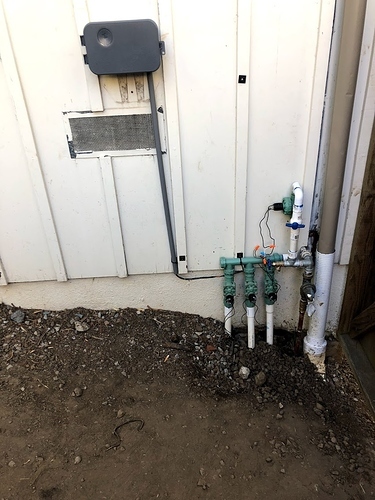 @chadholdorf, @tmcgahey If you are going uphill from your water source in the picture, a pressure vacuum breaker (PVB) would be lower than the highest head. A PVB has to be at least twelve inches higher than the highest head because it can’t take any back pressure. You’re going to have to install a double check assembly (DCA) or preferably a reduced pressure principle device (RPZ).